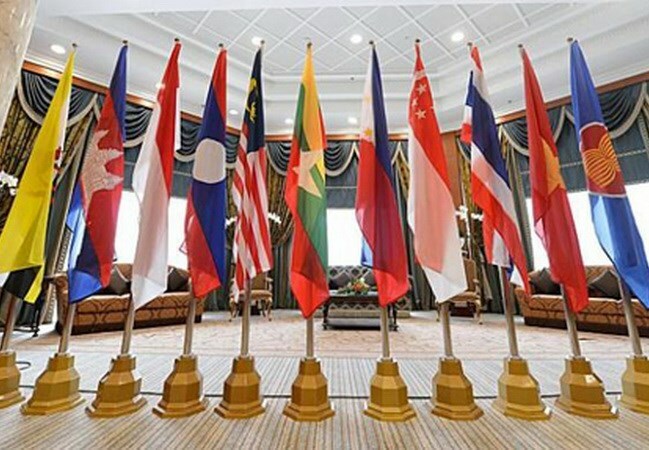 Brussels (VNA) – The European Union (EU) supports the central role of the Association of Southeast Asian Nations (ASEAN) in cooperative relations in Asia-Pacific. Xavier Nuttin, an advisor of Asian policies of the European Parliament made the remark in a recent exchange with reporters from Vietnam News Agency in Brussels, Belgium, on the occasion of the 50th founding anniversary of ASEAN. He said ASEAN plays a significant role in the global arena, both politically and economically. The 10-member bloc is the sixth largest economy in the world and is expected to become the fourth biggest by 2050, he said. The EU is ASEAN’s second biggest trade partner and largest investor, accounting for 20 percent of total foreign investment in the region, he said, noting that trade plays an important role in cooperation programmes the EU is sponsoring for ASEAN with nearly 50 percent of investment poured into the economic sector. The two sides aim to sign a free trade agreement, an initiative they launched in the 2000s. The EU has opened negotiations for trade deals with many ASEAN member countries, including Vietnam. Vietnam and the EU concluded negotiations on a bilateral trade agreement in 2015, with the deal awaiting ratification. Nuttin evaluated Vietnam as an important member in ASEAN with a special geographical location, large population and rapidly developing economy. Relations between Vietnam and the EU began in 1996 with the signing of a cooperation agreement allowing the establishment of the EU delegation in Vietnam. The 2016 partnership agreement opened up bilateral cooperation in various fields from energy to culture. The EU is the biggest provider of non-refundable aid packages for Vietnam with 400 million EUR in 2014-2020, he said. He affirmed that EU will continue supporting Vietnam to build on its achievements and improve the lives of Vietnamese people. Meanwhile, Gerhard Will, Southeast Asia expert at the German Institute for International and Security Affairs, and Thomas Engelbert from Asia-Africa Institute of Hamburg University, recognised ASEAN’s accomplishments in politics, economy and security.